Hello! Hello! It has been a minute since I last blogged, and that needs to change. I have officially booked a wedding venue, so that’s fun, and I recently started my YOUTUBE channel, so there’s also that. 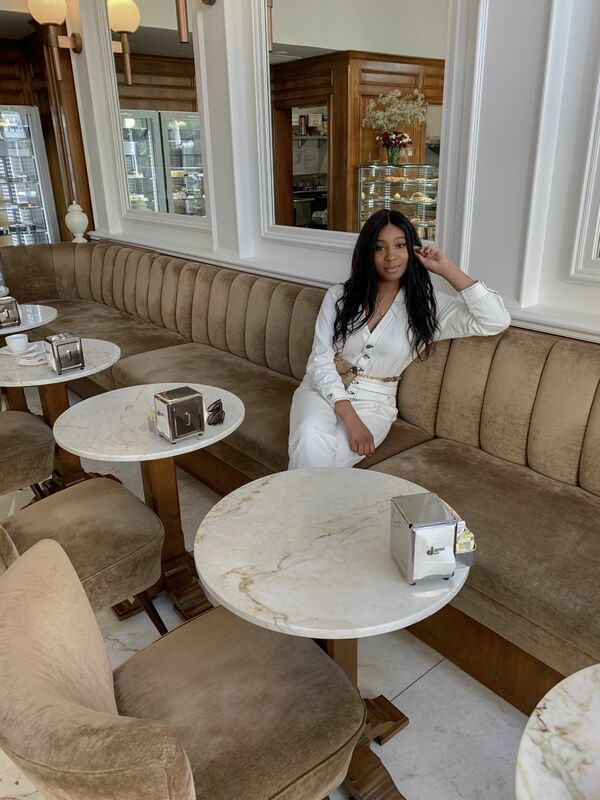 It’s Spring break, and I was able to spend the day with one of my best friends in one of my favorite cities, Beverly Hills! I wore this REVOLVE LPA jumpsuit with a GG Maull belt bag and PS821 Bolt Sneakers. You can shop this look below! When I got home, my fiancé asked me if I thought I was a pop singer. The outfit might have been why a group of teenagers went up to me asking for a photo. They thought I was Normani from Fifth Harmony. LOL. Previous Post Daylight Savings Time Is Here! Bring on the Warmth! How exciting to get your wedding band from Tiffany. Can’t wait to see you rock it. You do look like Normani from Fifth Harmony. I would ask to take a picture with you too. 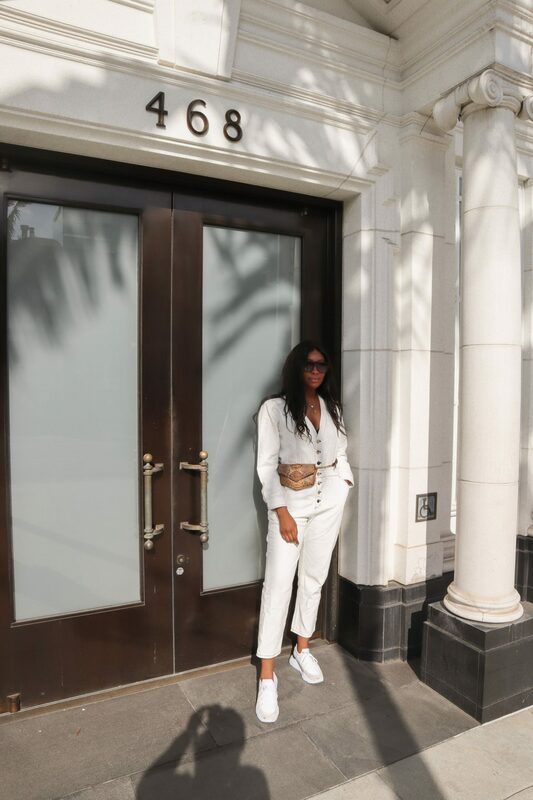 Love how you styled the jumpsuit with these badass white kicks, so chic yet comfortable. And that belt bag totally elevated the whole look. Such an effortless chic look. I’m glad the teenagers found you like a star. So it was more funny how stars can feel hehe. 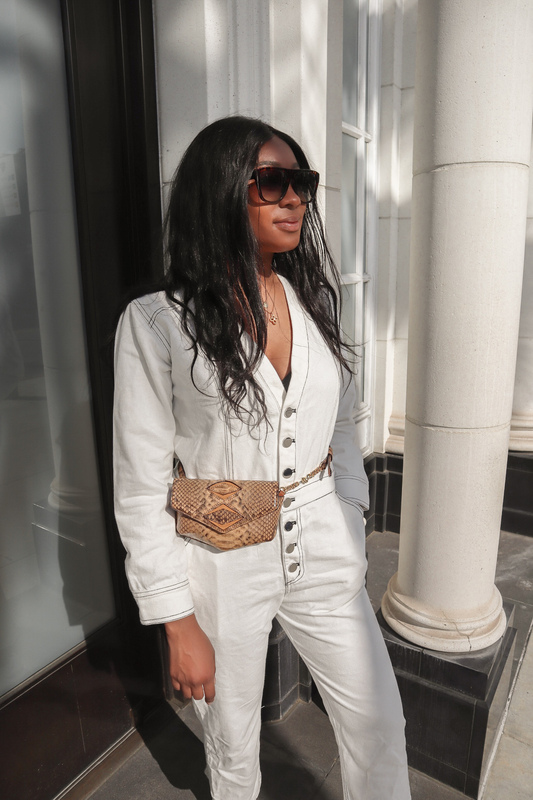 The jumpsuit with the belt bag is ideal and love it so much . That jumpsuit looks so comfy and stylish! I’m glad that you enjoyed your visit. The Tiffany wedding band must be a dream come true! What an exciting moment! Thanks for sharing! 🌟Gorgeous, darling ~ Simply gorgeous!